Offering advice, support, inspiration, and opportunities for career and business needs, She Leads Africa serves as an entrepreneurial incubator, aiming to accelerate and cultivate successful African women-led businesses and in the process—addressing the dire need for African women in the Diaspora to be autonomous leaders and innovative business owners, in both professional and entrepreneurial spaces. Launched in 2014 by Yasmin Belo-Osagie and Afua Osei, the dynamic duo established the organization to counter the problems many African women have in terms of limited leadership possibilities and prospects on the continent and beyond. According to CNN, although sub-Saharan Africa has the highest rate of female entrepreneurship across the world at 27 percent, usually the business design for startups sparked by African women are not a sustainable ones—they usually have no employees and do not spur substantial economic growth. There is also an extreme absence of investing in high-profile, macro-African female entrepreneurship, while there are a plethora of organizations and programs dedicated to catalyzing micro-led female businesses. By tackling the lack of gender inclusivity and equity of African women in the entrepreneurial sector, She Leads Africa is shifting stagnant business dynamics by offering pitch competitions and pan-African events, such as SheHive New York. From June 2-5, participants will be engaged in a four-day professional day boot camp that helps young women develop their career and business skills, connect with a community of leaders, and a network of mentors and investors. The NYC bootcamp is a part of SLA’s SheHive world tour, and is empowering the next generation of African women in the Diaspora to not only spearhead and achieve their entrepreneurial interests, but provide a forum where they can learn from African women who are on the forefront of business innovation. Okayafrica chatted with co-founder Yasmin Belo-Osagie to get the inside scoop on why it is imperative for African women to have an entrepreneurial hub of their own, how SLA is defying the stereotypical narratives of African women and business and what is in the future for the organization. Jaimee A. Swift for Okayafrica: What was the creative and entrepreneurial impetus surrounding She Leads Africa? Why is it imperative to have a business hub for African women, by African women? She Leads Africa co-founder, Yasmin Belo-Osagie. Photo courtesy of She Leads Africa. 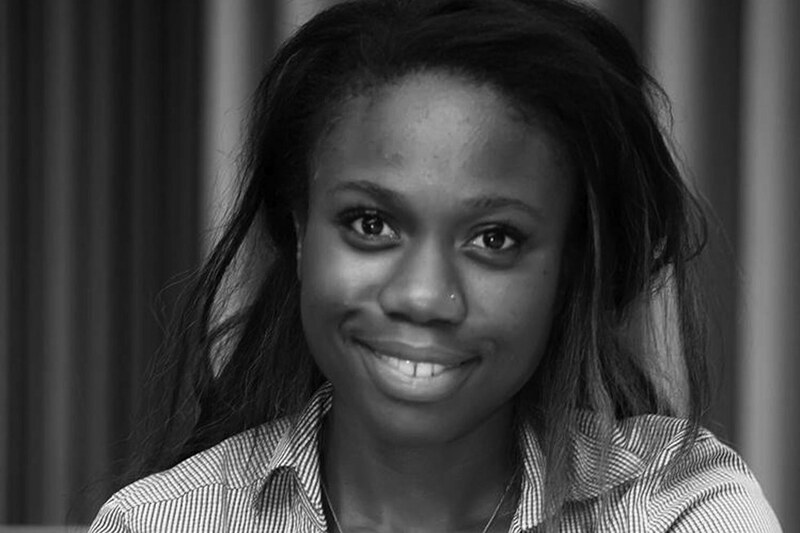 Yasmin Belo-Osagie: She Leads Africa was founded by myself, and my co-founder, Afua. We realized that whenever people were talking about business on the continent, it was always focused on the micro-level—whether that was micro-led businesses and micro-funding. No one was really thinking about identifying African women who want to create businesses at the national, regional, and global levels, and help them grow to become multi-million dollar businesses. We found that there were not many people focusing on this demographic of African women, yet, looking at our backgrounds, and looking at our friends, we knew that there were African women who want to be more, and want to be leaders of companies. How we went about creating this initiative was we thought about the business journey of young women on the continent. What also helped us as well is that we—Afua and I—are also young, African entrepreneurs. So, we focus on that specific demographic of women. What really binds the SLA community is the ambition to grow something that is much bigger than what we would typically see of African women, especially when it comes to creating high-profile businesses and professional services. What are some of the resources that SLA offers? Belo-Osagie: We have an online platform, offering articles and materials on business advice, which is specifically tailored to entrepreneurship on the continent. We want to create content for those who know what it means to start business in Africa. We provide guidances that we create ourselves, and they are based on our own experiences, and some focus on ways to build social media followings and other services. She Leads Africa has a professional bootcamp called SheHive (which you already know!) for aspiring business owners to have a more hands-on approach in spearheading their enterprises. SheHive is a four-day program that teaches specific business skills, and we help young women build a community to support each other on their entrepreneurial endeavors and journeys. We also provide access to high-level, high-profile people who can also be mentors, sponsors, and supporters. We actually launched SheHive in Lagos last year, and this year, we have gone to Accra, and then we will travel to New York, London, Johannesburg, and back to Lagos, again. We also have a program called the ‘She Leads Africa Accelerator Program’, that provides 10 young women with three, weekly residencies over the span of three months in Lagos, to have hands on, personal training with investors, and other subject market experts to help structure and build their business models. At the end of the three months, they will be able to pitch their business ideas to a room full of entrepreneurial ambassadors, and we will fund their projects by investing $10,000 in their business model. Yasmin, tell us more about yourself and how you got started. After that, I started She Leads Africa, and right now, I am still running SLA while doing JD/MBA programs at Harvard Law School and Stanford Business School. How do you teach African women to navigate in spaces where there is a lack of gender inclusivity in leadership positions? Belo-Osagie: To address this, it is important to teach women how to position themselves, and to give them access to people who have dealt with these issues before. It is critical to arm women with the tools they need to navigate these situations. Often times, issues of inclusivity focuses on women’s issues, but it is so important to include men in this conversation, and we have African male entrepreneurs come in, and speak on gender inclusivity. When men are brought into these discussions, there is a sense of accountability and it shows them that a lack of inclusivity of women in leadership roles is not a benefit, but truly a detriment. There seems to be this single-story narrative about African women engaging in business accelerators, like She Leads Africa, to escape from “poverty.” How does SLA defy this narrative? Belo-Osagie: She Leads Africa represents something very powerful, because the message that we are promoting is that African women are much more than maternity, health, small skill markets and, poverty. We often engage with some people in the social sector, and they cannot seem to fathom that [She Leads Africa] is not talking about African women as ‘poor women.’ So much of their understanding of African women comes from this poverty dynamic, and because we focus on the opposite, at times, it seems as if [our work] is not of a priority to them. We are coming with a new idea of African women that not a lot of people have seen or heard before. What these women are doing is more than just a hobby; they are trying to create businesses to generate serious money. Our main focus is to provide young women with information because we see the lack of information about building enterprises on the continent. She Leads Africa also spotlights other African women who have successful businesses. It is very difficult to become something that you have not seen, and it is imperative to highlight women who are already leading businesses, so that other young women can see that they can do it, too. What is in the future for SLA? Belo-Osagie: The bigger picture is to keep growing the SheHive, and have the boot camp in new cities to continue to build the SLA community. We also want to continue to build our online passport, and to think of different ways to share information and educate our viewers online. We really want to continue our accelerator program every year, but also make the classes we provide industry specific. For example, one class could focus on tech or media. When you are able to provide a program that is industry specific, it is much more helpful for participants who come from various backgrounds. Since we have built a strong pipeline of entrepreneurship, we would also like to also create a fund to provide a beneficial outlet to give back to other other entrepreneurs in the Diaspora as well.